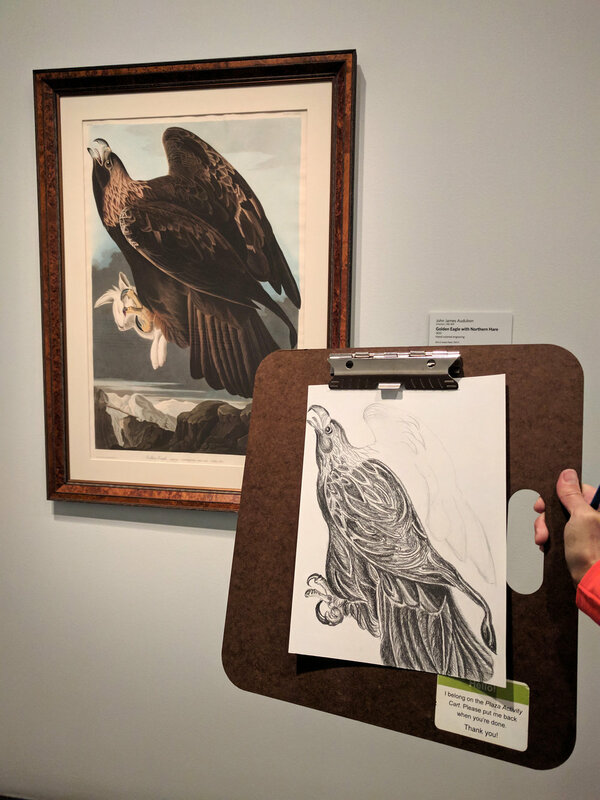 Drop-In Drawing explored "Stampede: Animals in Art," a large-scale exhibition (on view through May 2019) that features animals depicted in over 300 objects from the Denver Art Museum's collection. The show encompasses a variety of animals from ancient times to contemporary. Participants worked with charcoal, graphite, colored pencil, and/or pastel. 5280 Denver's Mile High Magazine "5 Colorado Artists to Collect Now"
"It's time to buy your artwork from the Mile High City's community of talented artists. Five art experts tell you whose work they're loving right now." For our September session we used graphite and charcoal to explore the stunning visual relationships in critically acclaimed photographer Fazal Sheikh’s portraits and landscapes of marginalized communities around the world. Sheikh's photographs are incredibly powerful, heart wrenching, and intimate. Check out "Common Ground" at the Denver Art Museum through November 12, 2017. For more information check out his website at fazlsheikh.org. I had a fabulous time sketching and drawing the Sandra Phillips Gallery storefront during the Golden Triangle's Final Friday. While drawing Zeigler Chiropractic featured a beautiful ballet performance. It's so much fun exploring creative spaces and activities on the Final Friday Art Walk. 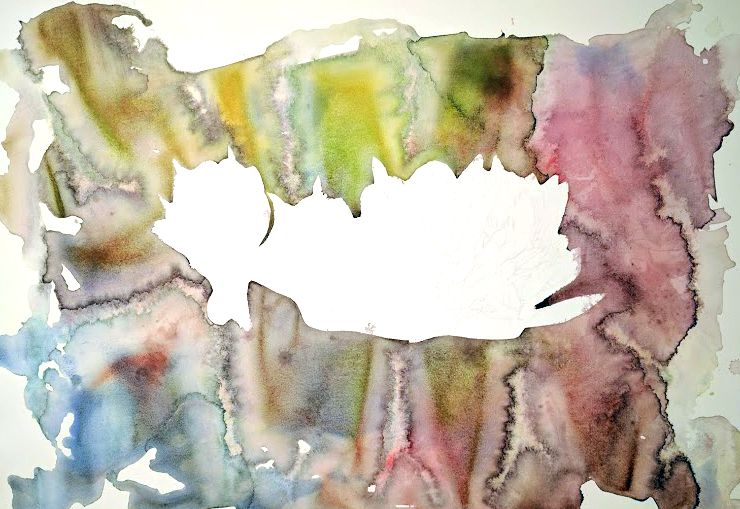 For "Crimson Plume," I created a watercolor pour as a background element. These images document the spontaneity of the pour and how the very wet, blurred beginning transforms to defined, textured patterns. After the pour dried, I painted the Indian Paintbrush flowers. This painting will be included in Boulder Museum of Contemporary Art's ARTMIX silent auction. Crimson Plume (18.5 x 26," watercolor on paper) features Colorado wildflower Castilleja, also known as Indian Paintbrush. This fire-tolerant plant can re-sprout from its rhizome (underground stem) and disperse its wind-carried seeds after a fire. Artist Julia Rymer and I at the ARTMIX auction. For our August session, we used watercolor pencils and pastels to create drawings of the Denver Art Museum's summer plaza installation's, La Musidora, compelling sound, movements and playful colors. Drop-in Writing at the museum will write about each of our drawings and the collaboration will be posted on WriteDenver.org. I set up time-lapse equipment to document an Indian Paintbrush on July 30th. I will retrieve equipment on August 20th, for a three week time-lapse. Here are some photographs from the visit. I had a fabulous time instructing Drop-In Drawing at the museum this month. We each drew a section of a painting, from the Dietler Gallery of Western Art, with colored pencils. Once all of the completed sections were put together, Victor Higgins' iconic painting Aspen Trees at Twining was revealed. Some of the participants, whose ages ranged from 8 to 80, altered the color of the original painting, creating a final piece that contained more subjective expression. Drop-In Drawing meets at the Denver Art Museum on the second Tuesday of the month from 1 to 3 p.m. For more information click here. Thank you to Michael Paglia for leading a fascinating discussion on art and social change at Sandra Phillips Gallery's "Matters on Paper" exhibition. It was wonderful to connect with participants as well as artists a part of the community and show, Margaret Kasahara and Joshua Field. Sandhill Crane, ink on paper, 10.5 x 7" was one of two ink paintings that I donated to the Sierra Club Art Auction. The even was held at ReCreative in the Santa Fe Art District in Denver and donated proceeds towards protecting Colorado's environment. More information on participating artists can be found here.